Produced by Williamsburgh Music Center, Inc. 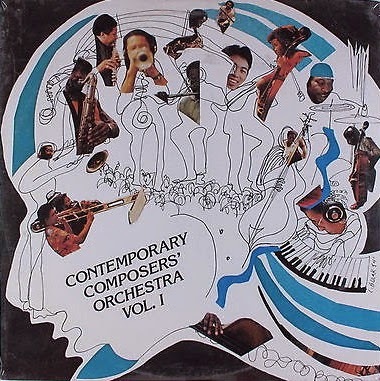 Privately released orchestra jazz album from the Williamsburgh Music Center in Brooklyn, headed by Gerry Eastman and Joe Ford who both recorded on Birthright's Breath of Life. With other personnel including Longineu Parsons on trumpet, Khaliq Al-Rouf of The Ensemble Al-Salaam on sax and flute, and John Betsch on drums, it is no wonder this album is full of forward thinking modal/spiritual jazz, but it is the addition of the string section that makes this one sound remarkably like a lost Tapscott led Pan Afrikan Peoples Arkestra recording. This one is not to miss! Wow ! Thank you! I've never heard of this recording. A few of my friends are playing on this record too. Is there a volume 2 as well? It's titled My Real Self, I'll gladly post if you're interested. Hi Nijimasu. I haven't been online in a few days. However, I would love to hear the Gerry Eastman recording whenever you have the chance. Thanks for the great music here. Great, great blog - thanks for this amazing share and all your other fabulous offerings too.